If you are interested in attending a small group in your area, provide us with your details on the sign up page and we will contact you with details of the nearest group that you can engage with. Do you currently run a small group and want some small group resources about faith and science? We have books and DVD series to lend your group for free. If you are interested in setting up your own small group with some friends and want to go through issues of science and faith, please also contact us and we can help you set this up. Below are some of the resources that we can loan out to groups. At the bottom of the page there is a form to let us know how we can get the course material to you. Origins is a six-session video series that was put together by BioLogos and is a good introduction to science and faith in an American context. The course consists of six 10-minute videos which are free to stream online or we can supply the DVD. Ages best supported by this material are mature youth or young adults to adults. Origins Video Trailer from Faith Alive Christian Resources on Vimeo. Test of Faith is a three-part video series produced in collaboration with the Faraday Institute in Cambridge, UK. Each video is 30 minutes long, with discussion questions and a leader’s guide provided. The course is aimed at scientists and adults. We have the DVD available for loan. Genesis Through Ancient Eyes is a four-part video series by the Old Testament scholar Dr John Walton, author of “The Lost World of Genesis One”. 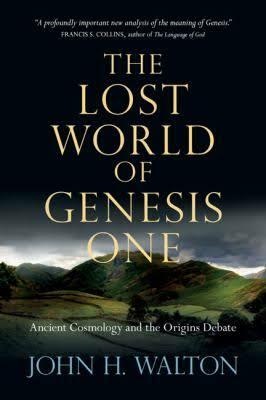 This is a great series for adults, mature youth and scientists and shows how to read Genesis through the ancient eyes it was intended for. The four videos can be viewed online and are accompanied by fun interviews with Veggie Tales creator Phil Vischer. We also have copies of the book available for loan. The Spirituality of Science is a five session video series discussing a range of topics such as: Is the idea of God simply a delusion and is religion the main obstacle to the advancement of civilisation? Is science itself anti-faith? Does evolution threaten the very tenets of Christianity? Doesn’t the creation debate highlight the enmity between science and faith? The course is aimed at adults and includes a great session on “What Every Christian Could Learn From a Scientist”. We have the DVD and guide available for loan. The Author of Life is a seven-part video series put together by a Christian school in Hawaii. It covers topics such as Genesis, evolution and caring for the environment. The course is ideal for high school students and youth groups. The videos can be streamed online and there is an accompanying discussion guide. From the Dust is a six-session video course which provides a wide range of views on science and faith (see the biographies of contributors). This is a good course for adults already involved in the discussion around science and faith and provides different points of view to be considered. There is a particular focus on biblical scholarship and how to read the book of Genesis. We have the DVD available for loan and a discussion guide with questions is available for download online. ‘From The Dust’ Trailer from Satellite Pictures on Vimeo. Scientists in Congregations is a selection of videos, slides and handouts covering a range of material. The courses are aimed at scientists but also laypeople in the churches and are good courses to engage with after completing Test of Faith. BerklyPres_TheWorldWasNeverFlat from The STEAM Project on Vimeo. We have a set number of each resource to loan out, so your first choice may not be immediately available.